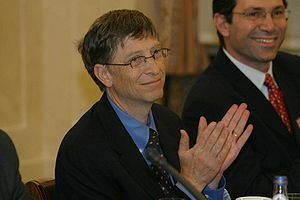 The richest people on the planet got even richer in 2012, adding $241 billion to their collective net worth, according to the Bloomberg Billionaires Index, a daily ranking of the world’s 100 wealthiest individuals. The aggregate net worth of the world’s top 100 stood at $1.9 trillion at the market close Dec.
31, according to the index. Of the people who appeared on the final ranking of 2012, only 16 registered a net loss for the 12-month period. Amancio Ortega, the Spaniard who founded retailer Inditex, was the year’s biggest gainer. The 76-year-old tycoon’s fortune increased to $57.5 billion, a gain of $22.2 billion, according to the index, as shares of the retailer that operates the Zara clothing chain rose 66.7%.